The first draft of my thesis is due tomorrow! It's a little scary to think about (it's only February, after all! ), but I've been writing furiously since September, and hopefully my work shows it. Especially this semester, I've been sitting at my desk endlessly working on this project, and I've definitely gotten sick of the standard dorm furniture, the less-than-ideal lighting, and the white walls. 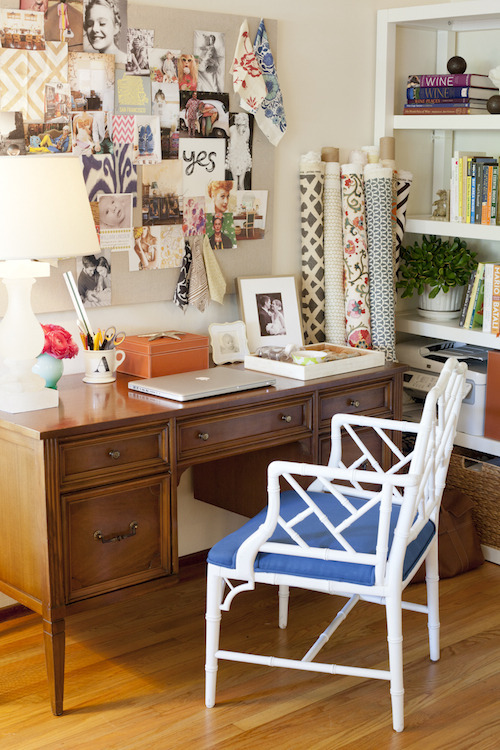 Here are a few offices I dream about calling my own. 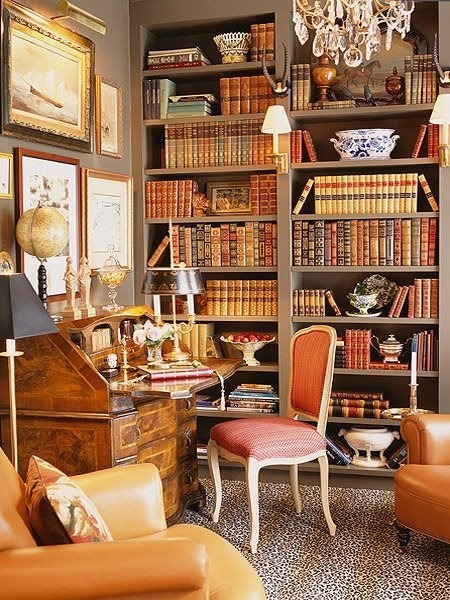 Somehow I have a feeling working in a space like this would make writing a much more pleasant endeavor. 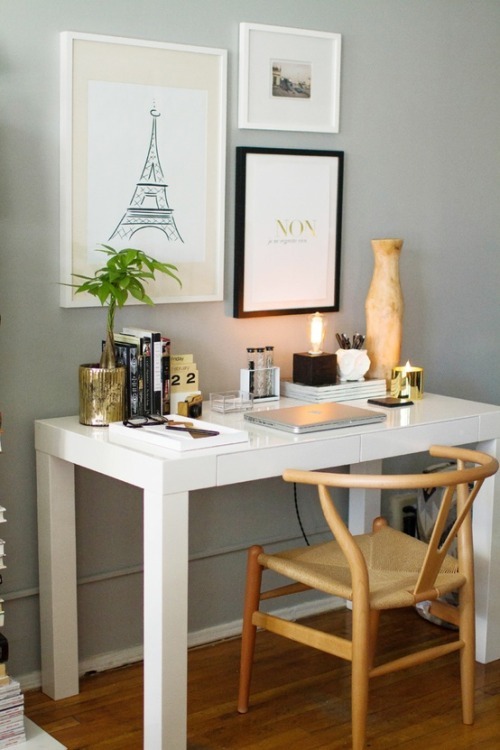 Do you have any must-haves for an office space?